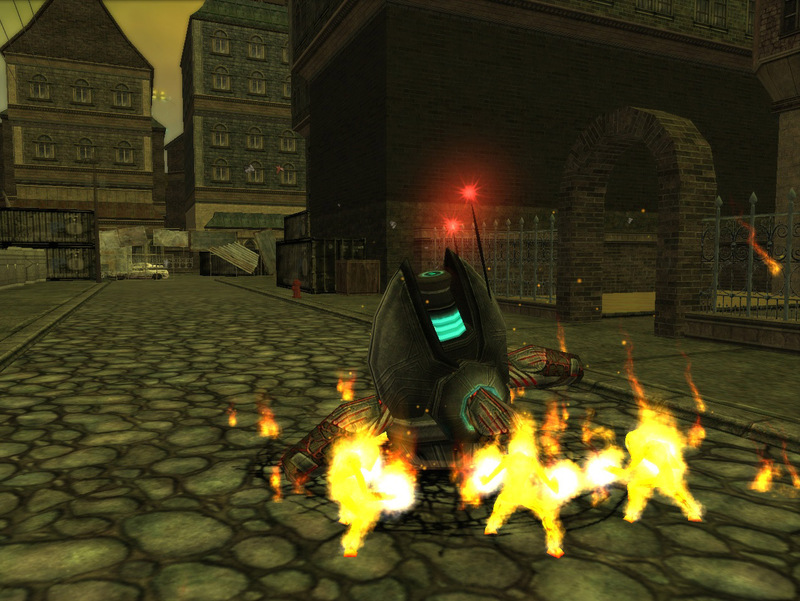 The Rikti were an interesting mob faction in City of Heroes. 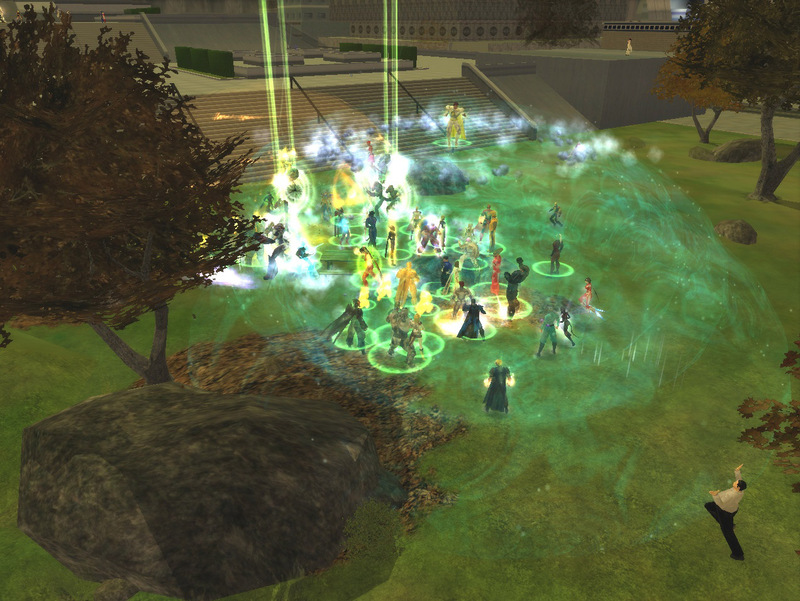 The First Rikti Invasion apparently capped off the City of Heroes beta (wouldn’t know, wasn’t there, just read the previews mostly). 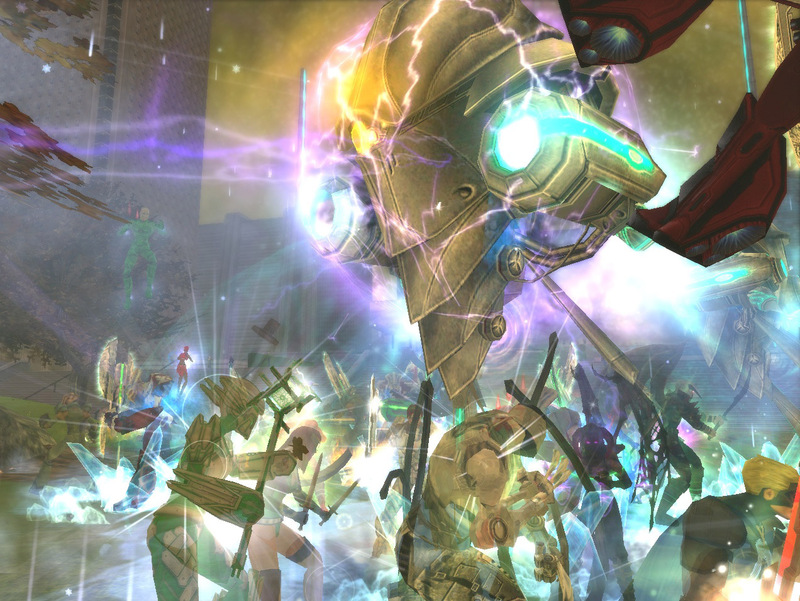 The backstory was that this group of science and tech-using aliens invaded the Earth of City of Heroes (aka Primal Earth,) ensnaring the globe in a massive Rikti War. Eventually, most of the superheroes of the world mobilized to conduct one gloriously bold strike at the invasion’s source, the portal to the Rikti Homeworld. Alpha Team, led by Statesman, was the frontal distraction, with a corresponding death toll of 4 out of 5 heroes. What heroes saw of the Rikti from then on appeared to be the straggling pink/beige remnants of this alien invasion, though certain storylines let on to a more sinister and intriguing undertone, where one witnessed the human Lost faction gradually mutating into Rikti, and this mutation being induced by other full Rikti. 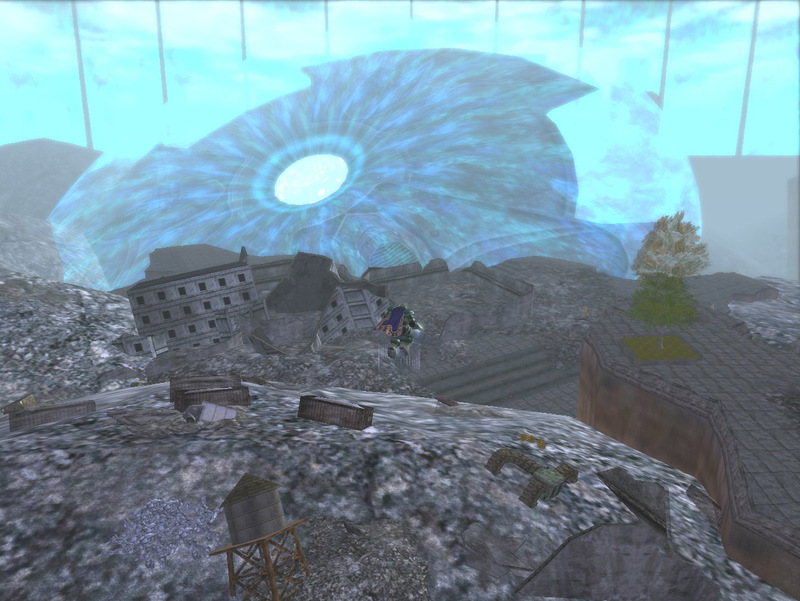 Rikti Crash Site was a max level 50 zone with not much in it besides a lot of apocalyptic urban skyscraper wrecks, the world’s largest collection of tightly packed Rikti spawns for tanks to farm to their heart’s content, and the mysteriously shielded crashed Rikti Ship, looking for all intents and purposes like a giant alien flying saucer. 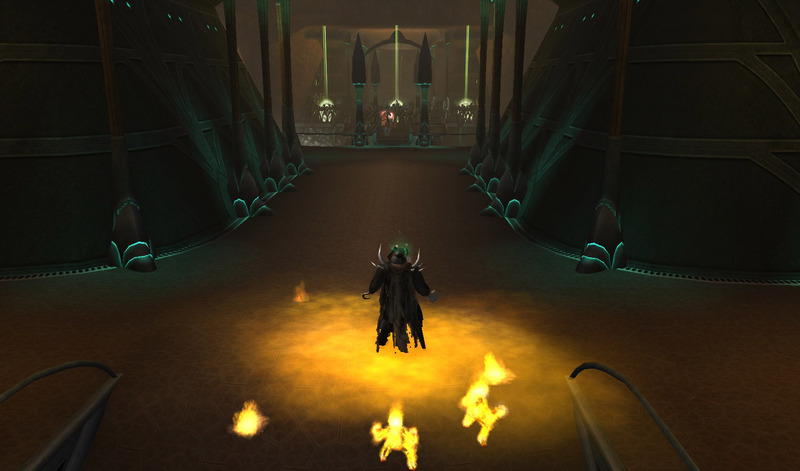 Some time in 2007, the Second Rikti Invasion struck Primal Earth. This was a threat that united heroes and villains alike, allowing crossovers and teaming up in a special zone for the first time. 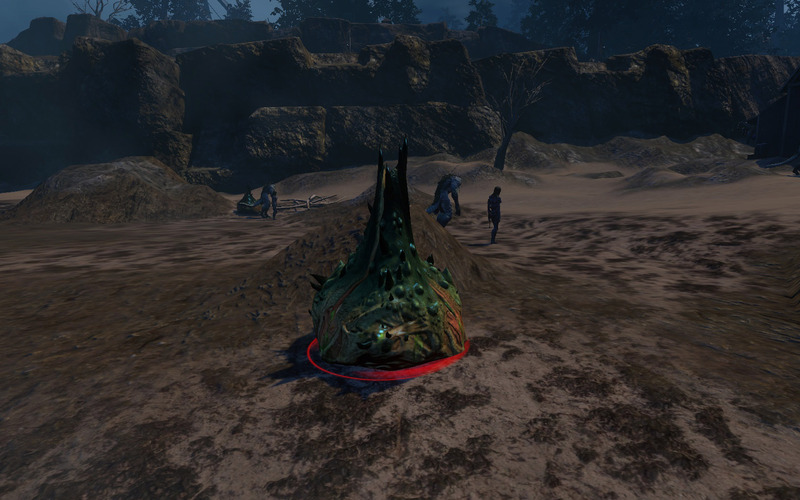 The invasion arrived in phases, first with sinister bombs sprouting all over a zone. Rikti drop ships would glide impassively across the now green skies, striking anyone who got too close with bright green energy blasts. Then finally, the Rikti themselves would beam in. Not even the villains were safe. 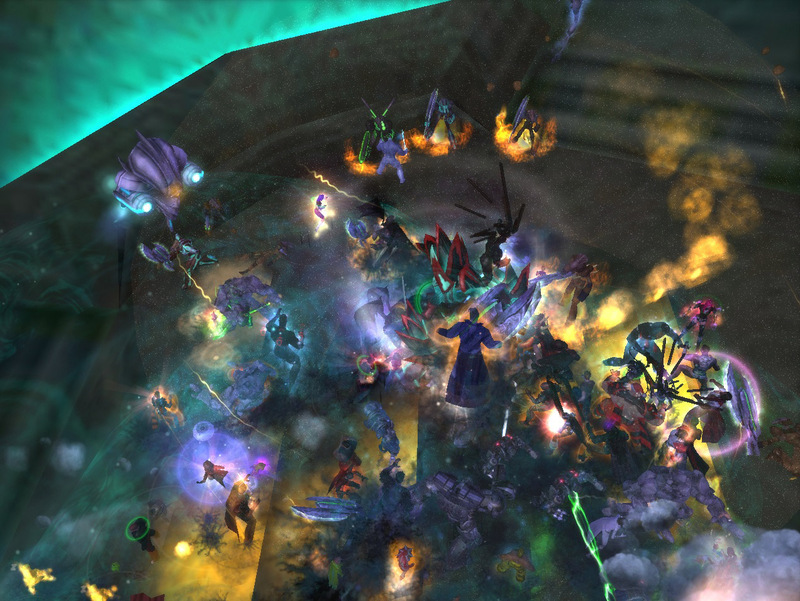 Mechanically, this was, I suspect, one of the earlier examples in MMO history where an MMO introduced an automated ‘public event’ that scaled to player densities, and linked it to an ongoing storyline. I think one of the biggest innovations of this ‘invasion tech’ was the idea of adjusting mob spawns and dynamically scaling encounters based on how many players were locally available in the area. We see other games now applying similar concepts. Back in the day, it sure made for great action screenshots. 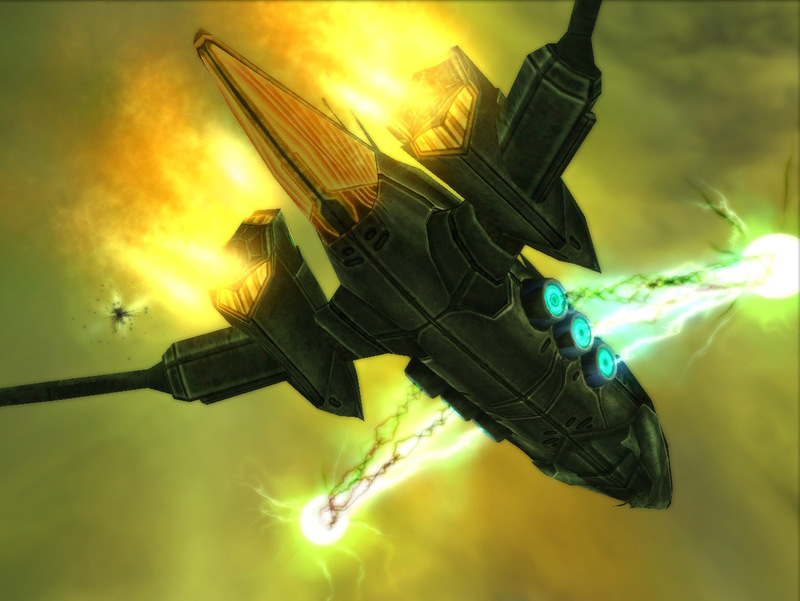 …to launch an attack on the Rikti Mothership itself. The Rikti armor designs of this period were significantly improved, as can be seen in this Paragon Wiki article about the Rikti. 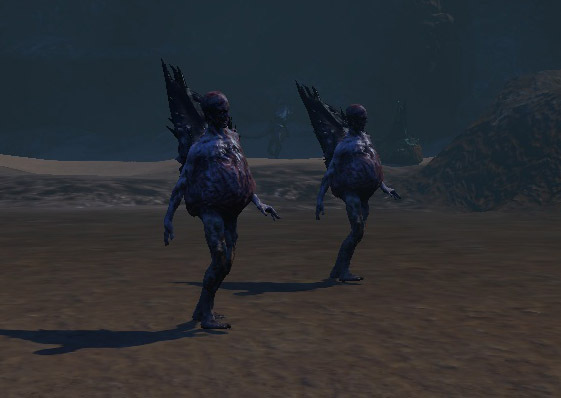 No longer were they the naked beige/pink slightly awkward aliens of the past, but a more tech-like robotic enemy, with color-coded armor (warning: TV Tropes link) indicating different powersets. The Vanguard were also more fleshed out, along with two Rikti factions, one attempting to sue for peace with humans – hence the conference table setting, and one continuing on their militaristic warlike ways so that our heroes and villains had someone to keep beating on. Eventually, we would discover the fate of Hero 1, changed into a Rikti-fied Honoree, who could be fought in the co-op Lady Grey Taskforce, as well as the initial Incarnate introduction mission as seen above. 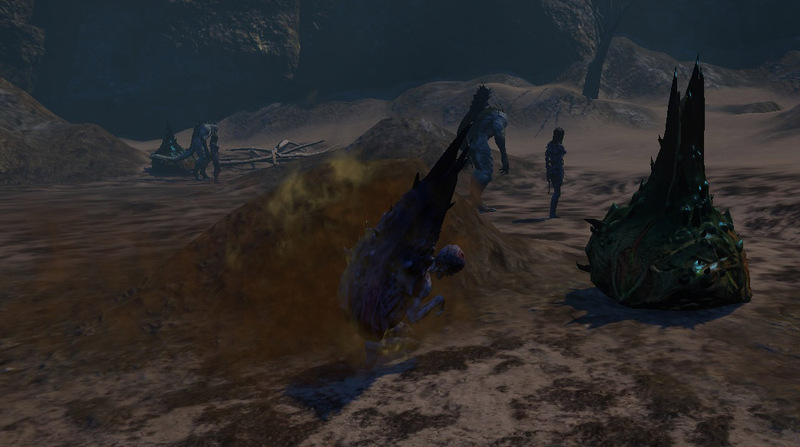 The story, unfortunately, never really continued from this point, after the game decided to dive headlong into Praetoria instead, getting more and more incoherent as the designers/writers tried to shoehorn in time-traveling and strange in-game lore excuses for however the Incarnate system had to work. Was a good arc while it lasted. NBI Writing Prompt: What mob factions in your game are an integral part of its storyline(s) or lore?